THIS LIMITED EDITION HAS BEEN COMPLETELY SOLD OUT! 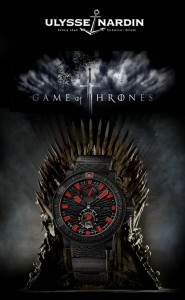 It is a 45.8mm case, with high-tech, vulcanized coating, it features a 42 hour, power reserve indicator, and date. 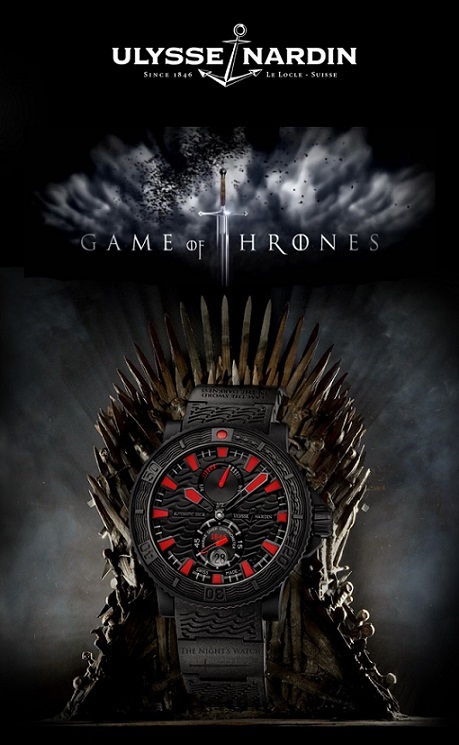 The exhibition case back reveals the Ulysse Nardin name, and ahchor logo, the “Game of Thrones” logo is also etched on the glass back. One black ceramic element is etched with “THE NIGHT WATCH” sword, with the opposite ceramic element is etched with “I AM THE SWORD IN THE DARKNESS”. Black rubber strap, with a black ceramic, folding buckle.